Office Relocation Management - CAS Ltd.
CAS is successful in the logistical management of both large and small relocation projects for high profile clients both as specific assignments and in parallel with technical and architectural design. This experience is broad spectrum leading to the high level management of complex, critical projects where large numbers of staff are being relocated. 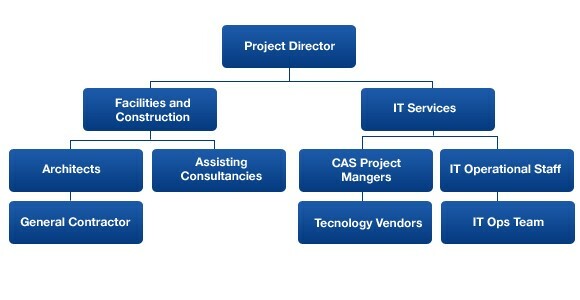 The detailed analysis of user requirements, assisting in backroom systems delivery and the “up front” trading floor management of technology has allowed a seamless schedule of activities to be brought together, CAS being the catalyst that ensures all responsible client services are brought together. Dependent upon the size and complexity of the project ideally, the central project office should be set up a minimum of 12 months in advance of the initial relocation.